Criminal justice reform remains an issue of increasing debate in the United States—and with good reason. While the U.S. accounts for only 4.4% of global population, it houses 22% of the world’s incarcerated population. Among world nations, the U.S. holds the dubious honor of having the highest percentage of incarcerated citizens. A major point of concern has been the rapid rate at which America’s prison population has grown, increasing from about 200,000 in 1978 to over 1.5 million in 2010. Despite this dire situation, proposed solutions have met significant resistance from lawmakers, slowing the pace of reform. An attempt to address prison overcrowding via bipartisan legislation came in 2015 in the form of the Sentencing Reform and Corrections Act (SRCA) sponsored by Senator Chuck Grassley (R-IA). The SRCA proposed reducing sentences for crack convictions, reducing mandatory minimums for “three strikes” drug offenders, reduce mandatory sentences for drug-related crimes, and limit the use of solitary confinement for juvenile offenders. Despite widespread support from both Democrats and Republicans, the measure failed, largely due to opposition by Senators Tom Cotton (R-AR) and Jeff sessions (R-AL), who opposed decreasing the prison population for any reason. The seeming stalemate was broken, at least partially, by House Resolution 5682— also known as the First Step Act—an important piece of bipartisan legislation aimed at addressing mass incarceration and reforming the U.S. criminal justice system. Co-sponsored by Representatives Doug Collins (R-GA) and Hakeem Jeffries (D-NY), the bill passed both the House and Senate by broad margins and was signed into law by President Trump on December 21, 2018. An important objective of the law is to address the dramatic rise in incarceration rates caused by strict mandatory minimum sentencing guidelines. Basically the law represents a fairer deal for the incarcerated—aiming to reduce recidivism and to decrease the harsh sentencing seen under mandatory minimums. What Does the First Step Act Do? The law requires that a risk and needs assessment system be developed to evaluate prisoners based on their likelihood to reoffend if released. This system is then used to identify prisoners who can most benefit from evidence-based recidivism-reduction programs. Under the law, the Bureau of Prisons determines which prisoners are assigned to each program and is able to tailor programs to meet individual prisoner needs. The law requires that recidivism-reduction programs be made available to all eligible prisoners according to their needs. Prisoners who perform well in these programs can improve their status from high to low recidivism risk, regain lost privileges, and potentially pave the way for early release. Successful program participation can also earn prisoners important time credits (10 days credit for each 30 days of program completion) toward sentence reduction. Under the law, the use of physical restraints on pregnant inmates would be prohibited, particularly during labor, delivery, and the post-partum recovery period. The law also strictly limits the ways in which solitary confinement may be used against younger inmates. Another provision of the law requires that prisoners be housed at a facility no further than 500 miles from family and community, making it easier for family members to visit and for prisoners to maintain community ties while incarcerated. The law also includes provisions to help inmates due for release to transition to life outside the institution. These include mentoring and job training, treatment for heroin or opioid addiction, and expanding inmate employment opportunities. 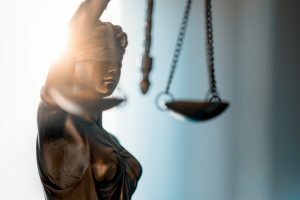 For a more in-depth look at the law itself, the full text of the First Step Act can be viewed here. In subsequent blog posts, we’ll examine how the law affects the paths of prior and future offenders, as well as the anticipated impacts of the law and its provisions. While the First Step Act has implemented significant change, one thing has not changed and that is the need for a reliable and competent bail bondsman if you or a family member are ever arrested. A qualified bondsman can help secure your release until trial with only a minimal financial burden to you, your friends, and family. If you’ve been arrested, you don’t have to go it alone, contact us to learn more about what Bond James Bond can do for you.